This event is an extraordinary way to give back to the community and exemplifies the university motto of Ut Prosim. Hosting one of the largest service events in the nation takes a lot of preparation and work, we hope you choose to help us make this event the biggest and best yet. The Big Event will be on April 6, 2019! 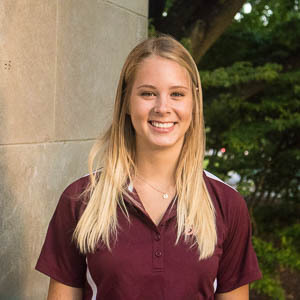 This committee facilitates communications both internally among students and externally with residents using an array of programs and sources. Communications is also in charge of running social media accounts for the Big Event, serving as the point of contact for the crowdfunding campaign, attending many functions related to the Big Event and much more! 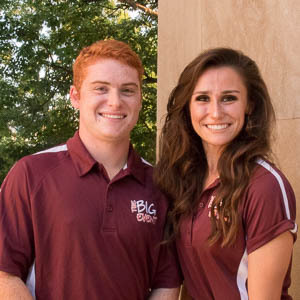 During the fall semester committee members can expect to dedicate 1-2 hours per week, and during the spring semester about 2-4 hours per week. This committee raises the funds necessary to make the Big Event possible by working with local and corporate sources. Some of the ways to raise funds include organizing profit sharing days, alumni donations and coordinating smaller fundraisers. This committee dedicates roughly 2 hours/week to the Big Event and doesn’t have to dedicate many additional hours leading up to the day of the event in April. This committee has the biggest responsibility on the day of the Big Event. 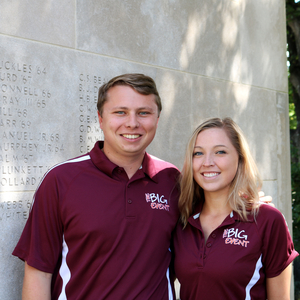 Programming Committee is responsible for the schedule of events and setup/layout of the Drillfield on the day of. They work with sponsors, performers, and university officials to create an engaging experience for the volunteers. Their responsibilities include the set-up and dismantling of tool distribution and the handing out projects and t-shirts to volunteers. Also, committee members will help secure discounts for volunteers and food for committee members by interacting with local businesses. By doing so you get to be a part of making this year the best Big Event ever!! Time commitment will be 3 hours a week in the spring semester, but more time consuming leading up to the day of the Big Event and will require dedication of 10 hours or more during the week before the event. As Projects Committee, we are responsible for getting homeowners to sign up for projects and to facilitate the project check process. We are one of the bigger committees so you will have a large group of people to bond with and make The Big Event family your own! The time commitment for the projects committee is around 3-5 hours a week for spring semester. 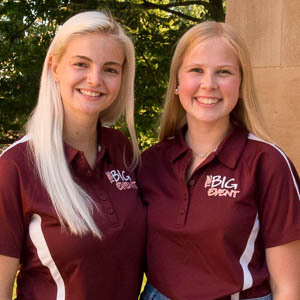 This committee focuses on recruiting as many student volunteers as possible for The Big Event through classroom presentations, marketing booths, and other duties as assigned. This committee is looking for students with an interest in public speaking, marketing, and a love for The Big Event!! Committee members will be expected to spend an hour committed to work during each week in the spring and will be able to commit 8-10 hours the week before the day of. STUDS provides fantastic grass-roots marketing experience and public speaking opportunity! 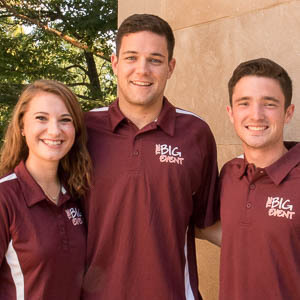 This committee works to develop and support the brand identity behind The Big Event. 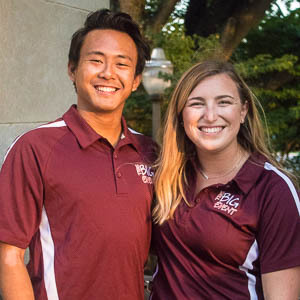 Individuals who are dedicated to this committee will work to create any media (print, digital, video) needed for communicating and marketing to students/residents the excitement that is inherent to the Big Event! This is the committee for you if you have artistic talent, photography experience or enthusiasm for design! 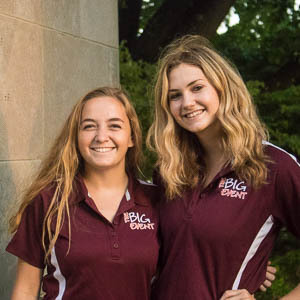 During the fall semester committee members can expect to dedicate 2 hours to committee per week, and during the spring semester up to 5 hours per week. 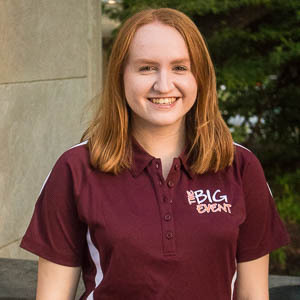 This committee is responsible for helping maintain and update the website for The Big Event at Virginia Tech, vtbigevent.org, as well as our volunteer and homeowner online registration system. Committee duties include learning to navigate the website, merging and printing project request forms, sorting through bounceback emails from volunteer and homeowner signups, and assisting with phone calls and logistics on the day of the event. The time commitment for this committee is about 1-2 hours per week, with some added time responsibilities in the weeks prior to the event. This committee is all about creating a welcoming, fun and exciting atmosphere for all those involved with The Big Event. Our job is to facilitate a student-run group that is as excited to say "Thank You" to our community as we are. We will be working to plan events, programs, and new ideas to make this experience the most rewarding and exciting as it can be. We are looking for energetic Hokies with experience in planning team bonding activities, or experience in creating welcoming atmospheres in group settings. The time commitment for this committee will be about 3-4 hours per week to help with all of our activities. -Critical analysis of many areas of The Big Event to create new programs for future implementation. -For those engaged in other organizations, this is a great way to get involved with The Big Event with a little bit less of a time commitment!